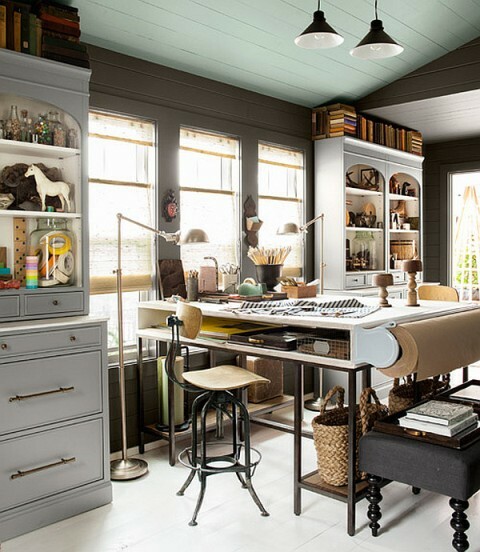 Transform your home office into an oasis of inspiration. 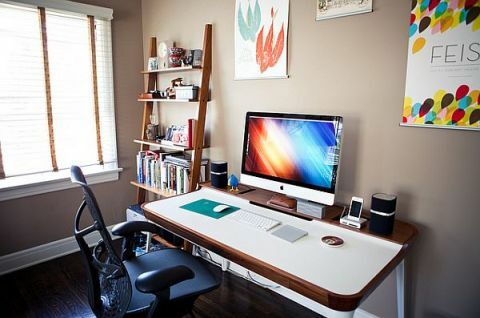 If you are running your business out of your home office, then you will need fantastic ideas for your home office design in order not to feel boredom. 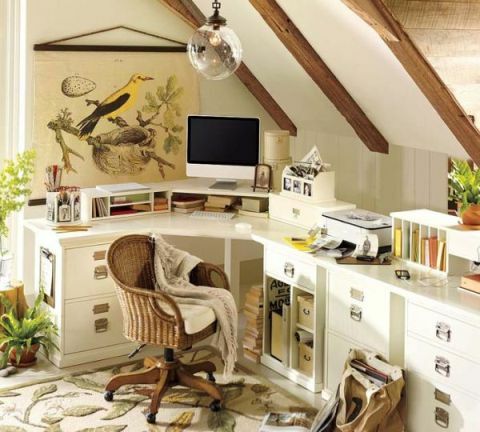 There are various ideas for your home office design, just scroll down to figure out them and you will surely be pleasant after reading this article. 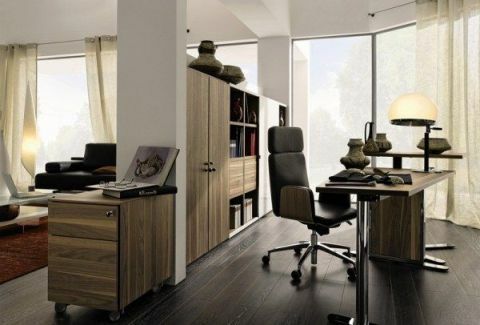 Functionality is necessary for any home office, so don’t hesitate and choose a desk that fits your office size and will also hold all your files, documents and materials. The proper seating while working at your computer can affect your creativity. Therefore, you have to opt for top office chairs as they offer adjustability as well as mobility. 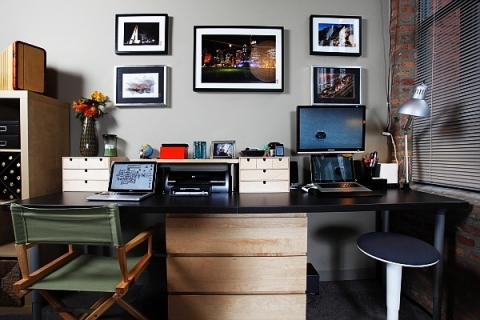 It’s better for you to choose a desk with rollers for your home office. For comfort and effectiveness, you should look for comfortable chairs that extend your physical reach, and a computer table that does more than just supports your computer. 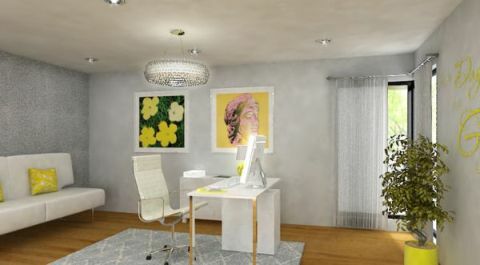 If you have a small home office, it’s better for you to choose light or bright colored paint for your home office walls such as orange, lime, lemon. 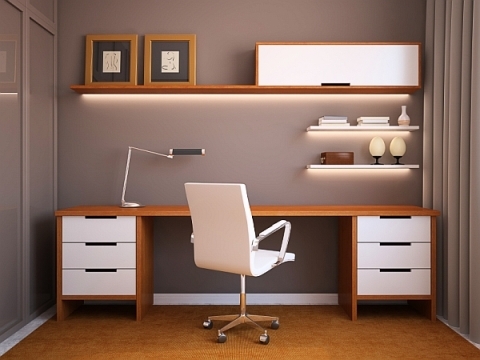 You can get the best illumination for your home office through ambient and task lighting combinations. 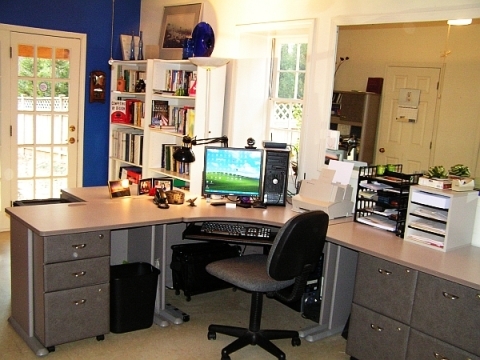 If you want to soften your home office lighting, then using a dimmer switch is a fantastic idea. 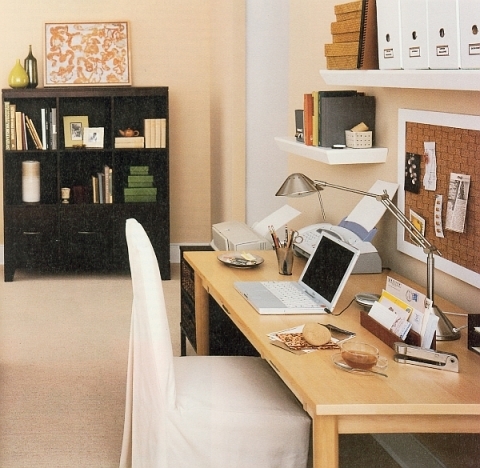 Remember, you can personalize your home office by hanging pictures of your diplomas. 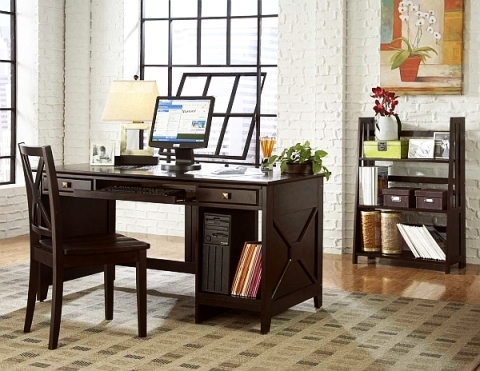 To make your home office look spacious and bright, all that you need is wood furniture with pale colors. With the help of conduit material, you can stash all the cords and wiring of the room. 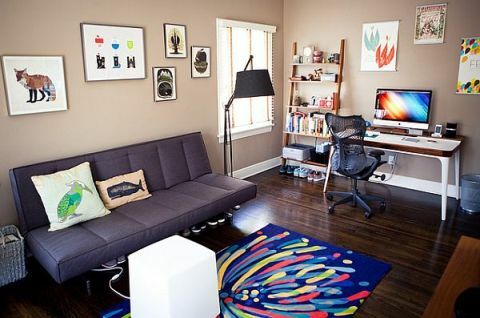 Spice up your home office by making a beautiful artwork of your business logo and put it up on the wall or you can keep some pretty pieces of art objects on wall-mounted shelves. 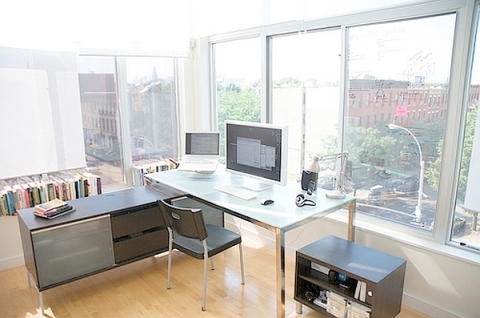 You can use drapes or shutters or mini-blinds for your home office window. 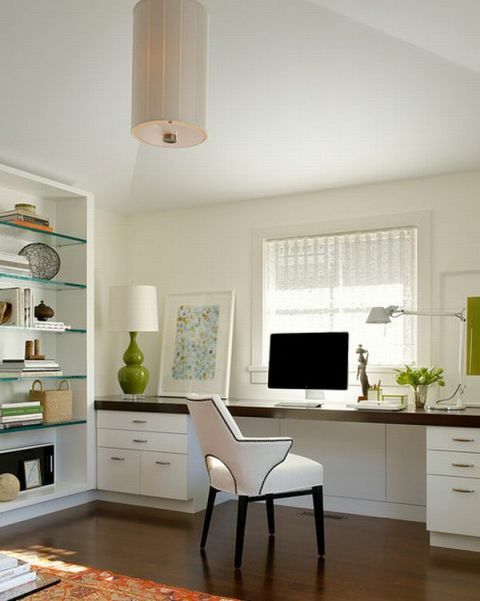 Finally, a nice fish bowl in your home office is a fantastic idea. 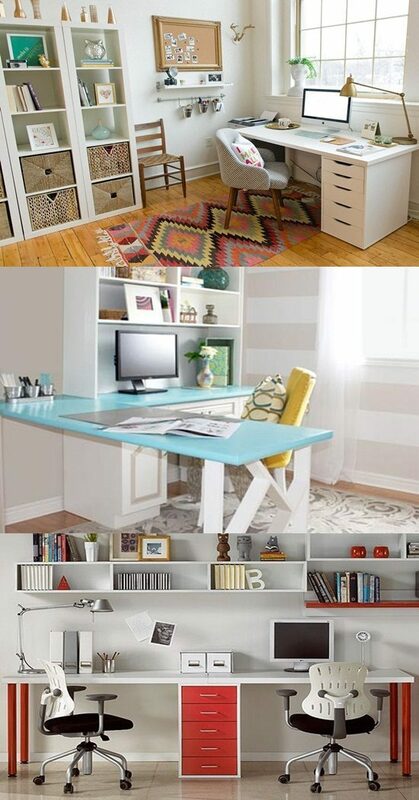 You can get inspiration from the following pictures about fantastic home office design ideas.